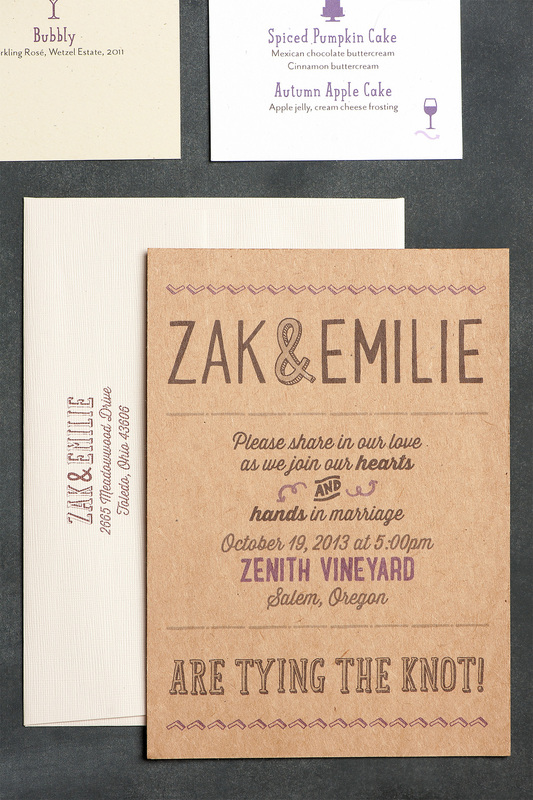 The Willamette wedding invitation suite was originally developed for Zak and Emilie’s rustic, hipster wedding in Oregon’s famous wine valley. 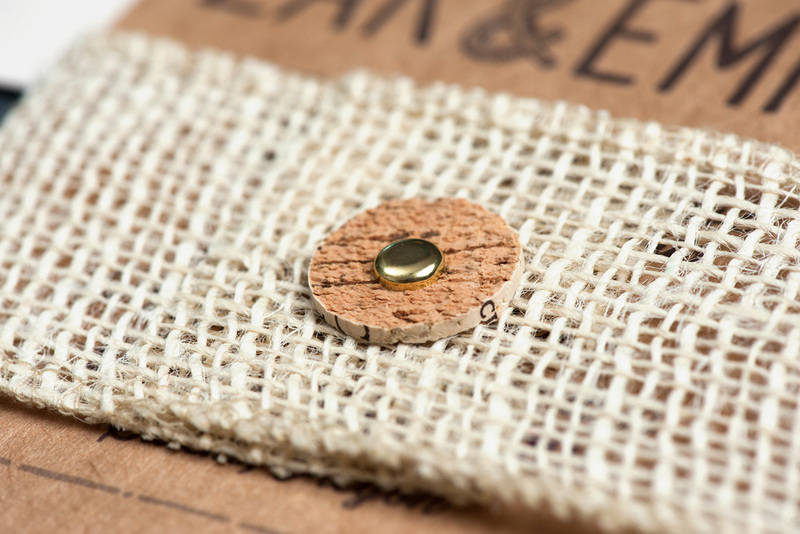 The suite features flat printed elements on kraft, speckled and woodgrain textured, recycled paper with burlap and cork elements. 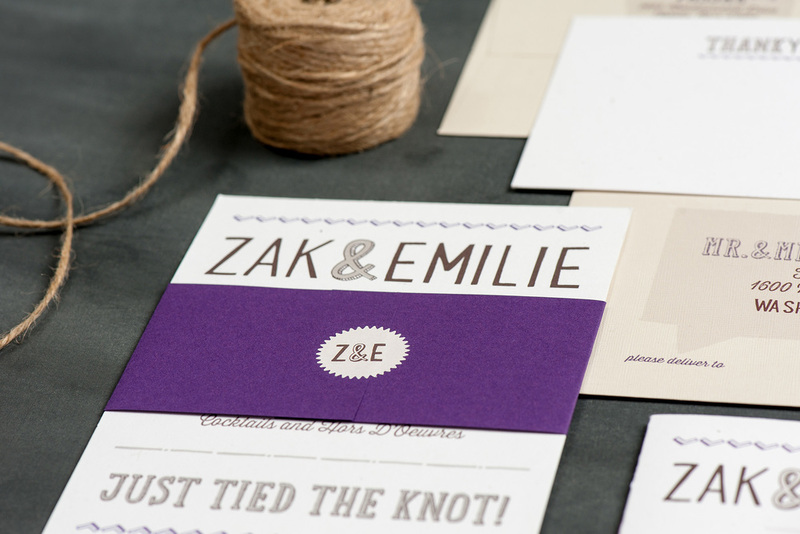 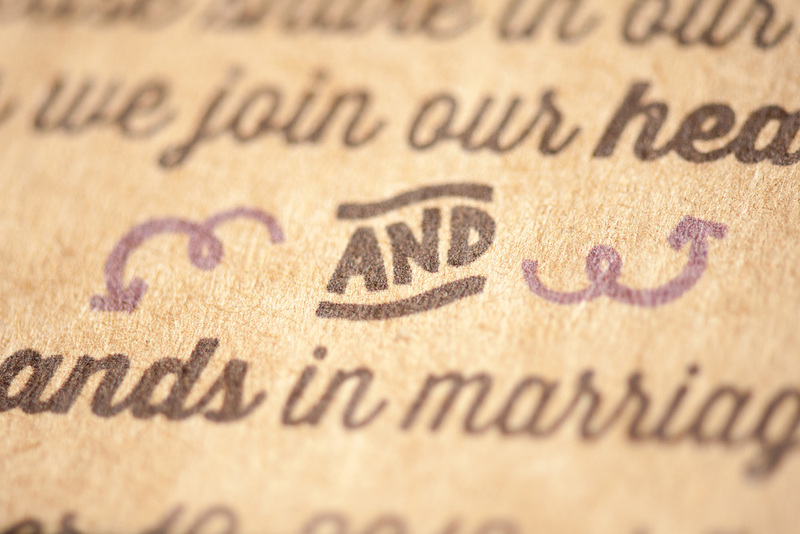 The whimsical typography appears in eggplant purple and chocolate brown and is paired with silhouette icons of meal and beverage options. 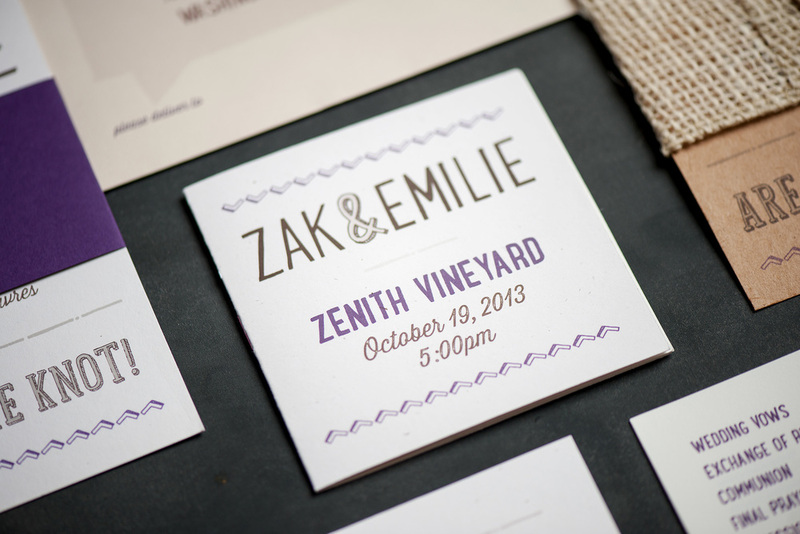 Elements included multi-event wedding invitations, a fun reply postcard, menu, program and thank you cards.